I have never been personally fascinated with any kind of extensive use of the Japanese Emoji art, but that might be because I don’t feel the need to express myself in text and email messages through the use of different emoticons. Thankfully, I don’t represent the majority of the user-base and the cute little Emoji icons always seem to be extremely popular. 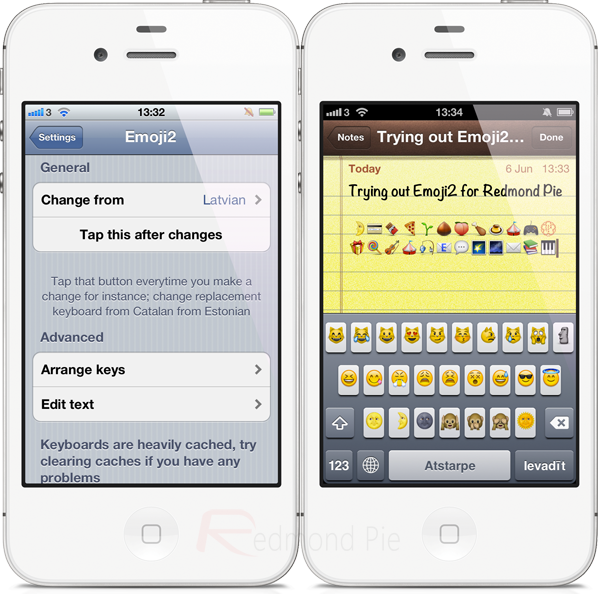 The Emoji2 for iOS 5.1+ tweak that has hit Cydia in the last couple of days is sure to delight the emoticon loving jailbreakers as it modifies the operating system to gives users access to Emoji symbols and characters that Apple have chosen to remain hidden for one reason or another. I occasionally find myself perplexed by some decisions which my favorite company makes, with the decision to provide access to certain Emojis prohibited. The Emoji2 for iOS 5.1+ tweak comes from good stock as it is built by well known iOS developer Moeseth who has previously been responsible for tweaks such as TwitkaFly among other packages available in Cydia. The package works on the basis of users actively choosing a foreign keyboard to replace the stock keyboard with the one boasting Emojis. The whole keyboard replacement activity is handled directly through the dedicated preferences panel within the native Settings app and is as easy as selecting which keyboard to replace from a pre-populated list of options. When the keyboard replacement is complete, users can activate that international keyboard by going to Settings > General > Keyboard > International Keyboards and choosing the new option from the list. Whenever the keyboard is invoked, a small globe symbol will be available on the left hand side of the virtual spacebar that allows users to flick quickly between active keyboards. The package itself is extremely well made and extremely simple to use, allowing users to expose a lot of additional Emoji characters and symbols with just a few taps on the screen. All of the new found emoticons can be used throughout the system but users need to be aware that if they are intending to send texts or emails with these images embedded within them, only recipients who are running iOS 5.1+ or OS X Lion+ will be able to view them. 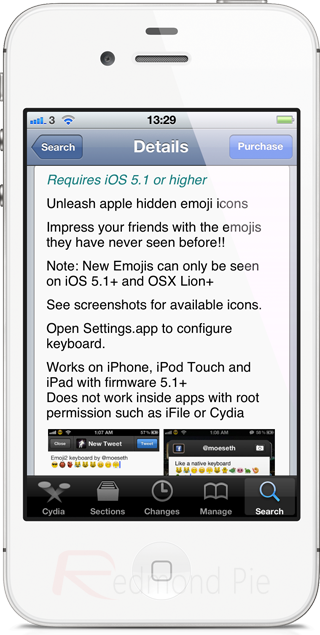 Emoji2 for iOS 5.1+ is available to download from the BigBoss repository for $0.99 and requires a jailbroken device running iOS 5.1 or above.